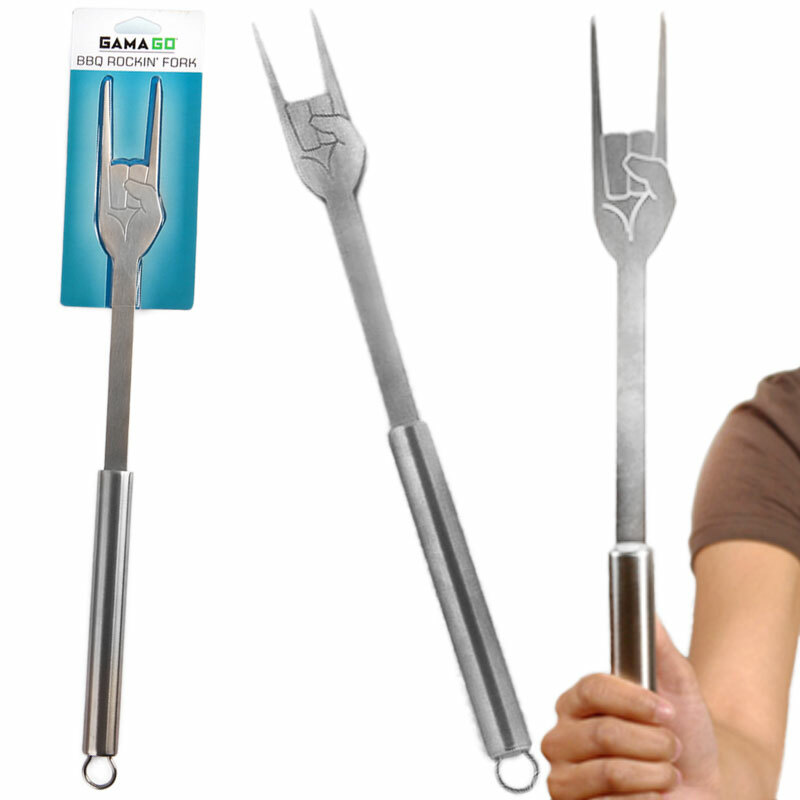 If you like to cook out like a Rock star, make sure you've got the right tools. 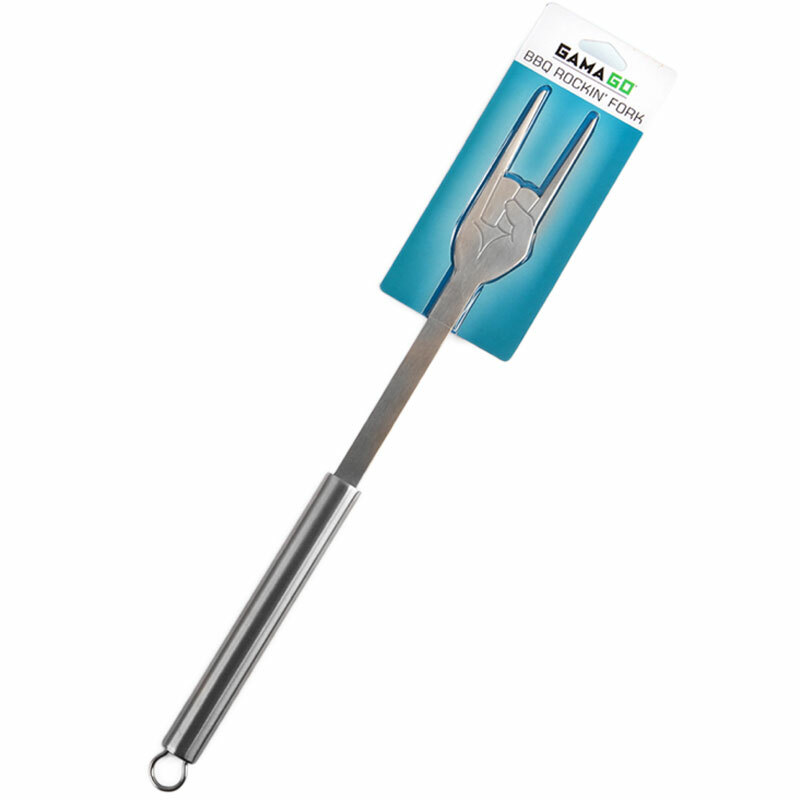 This Rockin' Fork is ready to face the flames and look like a pro doing it! I mean what's more Rock n' Roll than a "party-on" fist gesture? Nothing. Let it fly high in the air as you jam to your favorite tunes, then use it flip your steaks. It's a win-win situation. You get to party hard and eat well. What else could you ask for? Only red M&M's backstage? Feature: - 1.5" x 17.5". Stainless steel, Food- and dishwasher-safe, Heat-safe up to 500 _F / 260 _C.